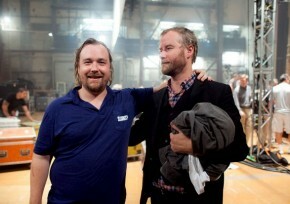 It’s no longer worth trying to figure out where múm are going, if they are actually going anywhere at all. Once their 2004 album Summer Make Good dropped, it looked like their fate was set: traditional instruments, collective childish vocals, and (attempts at) conventional song structures. They managed to execute those aims to varying degrees on Summer Make Good and on the two albums that followed it (2007’s Go Go Smear The Poison Ivy and 2009’s Sing Along To Songs You Don’t Know), even if it wasn’t all happening at the same time or on the same song. But there was always hope. With their childish enthusiasm, it was easy to want to follow the múm parade, but after wandering aimlessly with them for about fifteen minutes, it became evident that no one really knew where they were going. Come the end of Sing Along, it was beginning to feel like múm were making music for the sake of making music, and not to actually create a cohesive statement of any sort. Since 2009, the Icelandic band have teased us with nostalgia, releasing Early Birds, which gathered unreleased and lost tracks from over a decade ago, when the band seemed to be promising and delightful. It was easy to imagine the band members finding their love of plinky Nintendo-like snyths and drum machines all over again after rattling through the charming retro sounds of their past, but a dedication to the sound in any form seemed long off. The best we could hope for was another “The Smell of Today Is Sweet Like Breastmilk in the Wind,” with some cut and paste percussion bringing the charm and memorability. Rejoice then, all those who thought the band’s drum machine days were over. On their new album, Smilewound, múm have returned to the electronic side of things, once again – but not entirely – putting it in focus with traditional instruments and airy female vocals. On the opening track to the album, “Toothwheels,” static clicks fizz out a light rhythm and melodies are delicately plucked and swept into the mix; “When Girls Collide” has all the candy-coloured noises of something capturing the childish fun from the band’s early days; and drum machines quietly go into overload on the bonus track “Whistle” as arpeggios come and go. It’s all very charming at first glance, and it can feel genuinely great that the band have rekindled a fire that seemed lost. What’s not great, though, is everything that has gone into making these tracks “songs.” While they’ve made plenty of admirable attempts to create a song with verses, chorus, and a structure that can easily be followed, múm have yet to master this talent. For all the appealing noises and sounds, Smilewound is something resembling a disaster in terms of ebb and flow and sequencing. While Sing Along made the mistake of coupling every energetic moment with a lumbering counterpart, Smilewound seems to want to revel in the languid pace, only occasionally bringing life into the mix. Making an album that focuses more on the slow, downcast side of things is fine. But the fact is that múm charm and win over listeners with spurts of energy; lingering beauty and poignancy isn’t really something they do well. But that doesn’t stop them trying, like on the plodding “Slow Down” and “Underwater Snow,” which completely disperse the forward flow of the album’s first fifteen minutes. Smilewound finds me wanting to describe múm in ways I never really thought I would. Even when the songs bring in some more vocalists, and turn to using live drums, there’s something hollow and robotic about the way the tracks move about. On “The Colourful Stabwound” and “One Smile,” despite the animated drumming and welcome bass lines, the tracks are missing a human purpose to be going forward for. Any charm feels rigid, if not cold – and that’s not because of Gyða Valtýsdóttir’s icy vocals. Another essential draw of múm also seems lost on Smilewound, that being sonic detail. While they didn’t sound like they were getting the best out of those instruments on previous albums, the odd bum note on a guitar, or the creak of a floorboard in the background gave the tracks moments of singularity. With the return of the drum machines, those imperfections seem lost, only rarely returning (the playful final iteration of the melody on the forgettable and unfortunately unimpressionable “Sweet Impressions,” for instance), if not existing in the sounds of the machines themselves. The timbre or the texture of the sounds they make is worth noting while working through Smilewound, but hardly worth returning specifically for. It’s good that once again where múm might go next is truly up in the air, but Smilewound hardly make the band’s next release tantalizing. I’m a sucker for taking in each new album, hoping that something will click, and the genius of the band will show itself again. When “Toothwheels” dropped as a single months before the album’s release, it seemed like something worth noting might be on its way; the track felt like it had a purpose and a feel, with Gyða Valtýsdóttir’s vocals surprisingly brushing up to something resembling Natasha Khan on one her more breathless days. And the fact they’ve got a duet with Kylie Minogue to boast at the end (“Whistle”) added to the promise. But even these better moments suffer in their proper context, detrimental from an unrequired longevity, going on for a minute too long, like near enough every other track here. 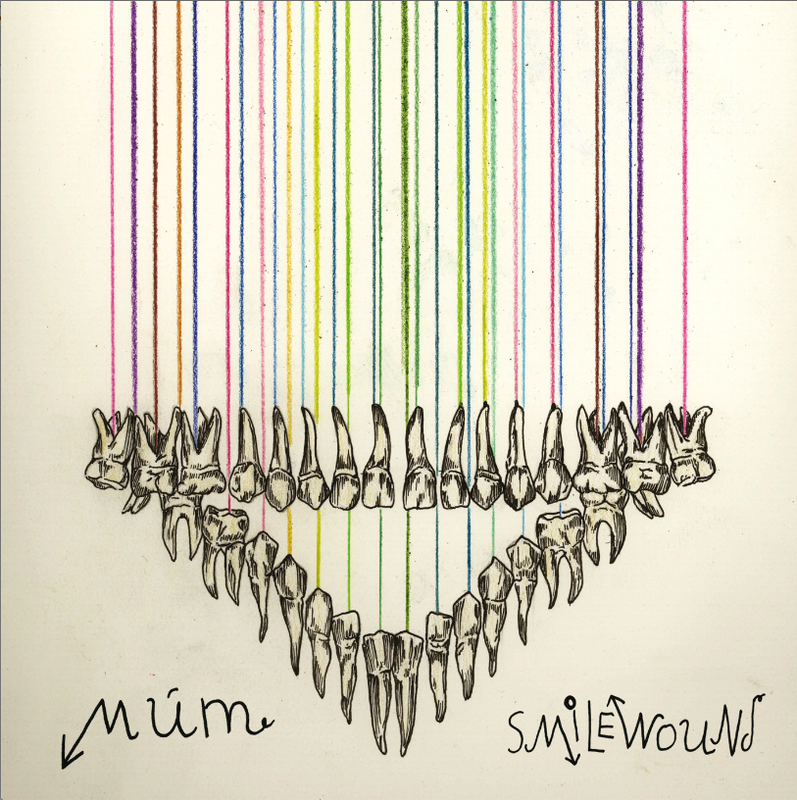 And unfortunately, with Smilewound, it’s beginning to sound like múm themselves might be verging on overstaying their welcome; with this album, it feels like there’s no longer any real substance to extract from the every-changing collective and their attempts to construct songs. In a moment of misplaced poignancy, Valtýsdóttir sings a line that could homophonically be heard as “If you love me then forget me now” on “Underwater Snow”; it’s beginning to feel like that’s the best option.